Hi guys! I am currently on queue trying to buy Bjork Tickets at Walt Disney Concert Hall. Since I'm currently number 1338, I have some time and thought I'd put up a quick blog post. I was in Vegas all weekend at Clexacon (basically the first lesbian Comic Con). I left Abe behind and travelled with my Saving Face family, Michelle Krusiec and our director Alice Wu. Even though Vegas has incredible food, I wasn't really interested. It's all so expensive, not to mention the portions are so humongous (and I didn't have a fridge to keep leftovers). 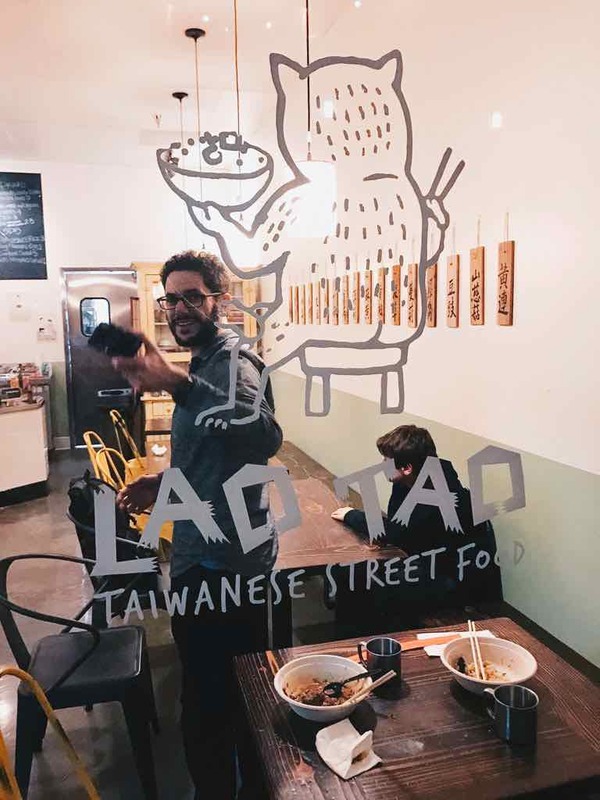 I actually kept talking about this place in Downtown Los Angeles, Lao Tao Taiwanese Street Food with them - which is so much more my speed. Everything we tried - from the sweet potato fries to the Beef Noodle Soup and Oyster Omelet were top notch. I didn't get to eat the latter two quintessentially Taiwanese dishes during my trip to Taiwan so I'm glad I get to experience it whenever I want at home. Abe loves it so much he wants to celebrate his birthday there in a few weeks. Here's a little video I made with Finn so you can check out more of the food. P.S. I just waited an hour for tickets and it sold out! Oh well. Have a great week.